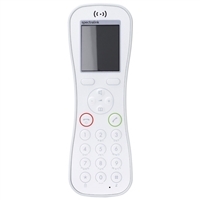 Spectralink wireless phones include the 8000 series WiFi handsets and the 7000 series DECT handsets. Both series are tough and rugged, ready for the demands of today’s fast-paced industries. Find handsets that support sterilization procedures in hospitals, resist rapid wear and tear in manufacturing plants, and with compliance to biohazard standards. Spectralink also builds handsets designed for the office, such as the Butterfly models. Handsets with barcode scanners are ideal for warehouse employees. Safety alarms in several of the models can notify emergency personnel or managers when an employee is in distress. More powerful models can access vital information on the spot, ideal for nurses and healthcare workers.